Schlumberger’s Managing Director of the Caribbean, Sean Herrera told a conference in Houston Texas that operating in Guyana “has been a very, very smooth road” so far, and he encouraged other firms to hurry up and invest. Herrera was speaking as a panellist at the Baker Institute’s forum on ‘Oil and Gas Development in Guyana’. In his address to the audience, Herrera assured the attendees that Guyana has everything necessary to encourage investment. [In the photo, from left] Minister of Business, Dominic Gaskin, Guyana Office for Investment (GO-Invest) CEO, Owen Verwey [at the podium] Minister of Public Infrastructure, David Patterson and Minister of Public Telecommunications, Catherine Hughes at the Baker Institute’s forum on Oil and Gas Development in Guyana. Schlumberger’s Managing Director of the Caribbean, Sean Herrera addressing the forum. Chief Executive Officer (CEO) of Guyana Office for Investment (GO-Invest), Owen Verwey. 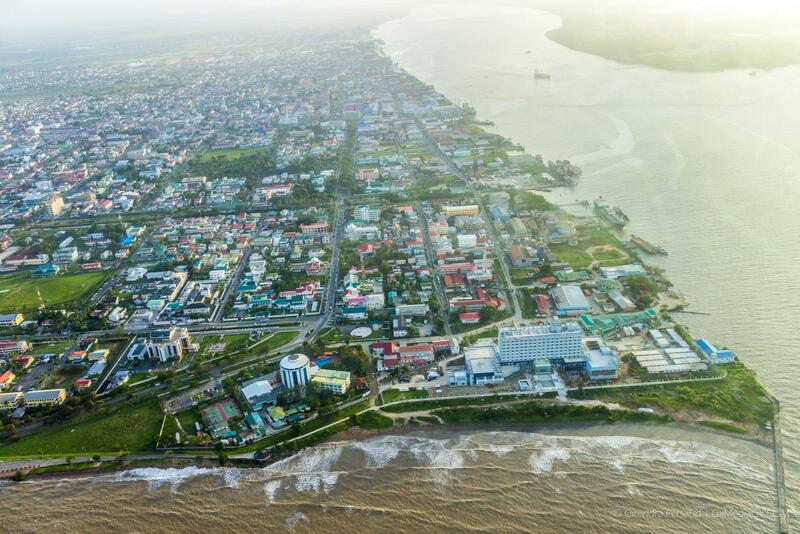 Schlumberger is a subcontractor to ExxonMobil, providing technical support for its operations in the Stabroek Block which have to date resulted in proven reserves of 5B barrels and making Guyana the most exciting energy prospect in the world. This was reflected in the massive turnout for the forum. 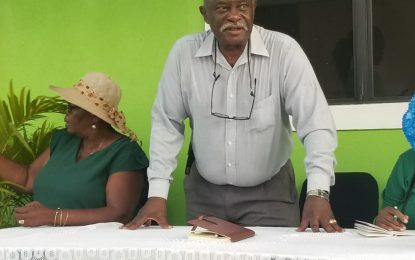 “I am happy to confirm the Guyanese government and the people have got those above things right… and I will endorse everything that my esteemed colleagues are telling you about doing business in Guyana. I’m happy to take questions, specifically on what are some of the challenges we faced as a service company foreign investor in Guyana, and how we overcame them, but those challenges were very, very few,” the Schlumberger’s Managing Director asserted.